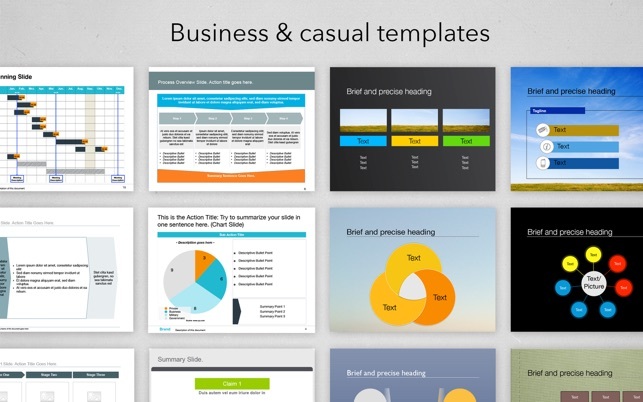 Templates for PowerPoint Pro provides 40 carefully designed PowerPoint Templates, over 200 different graphics and more than 725 slides for stunning business presentations. 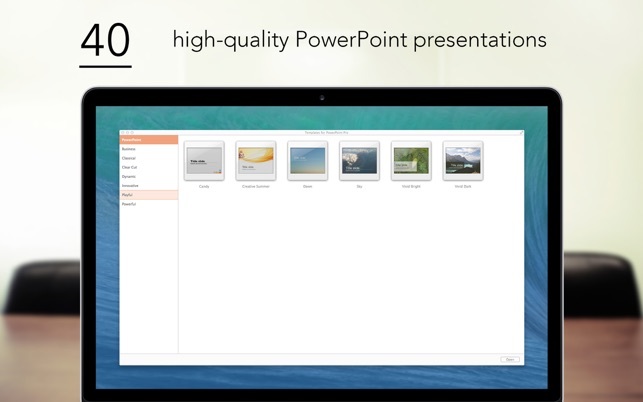 Export them quick and easy to PowerPoint and start working on your presentations in just a few seconds. 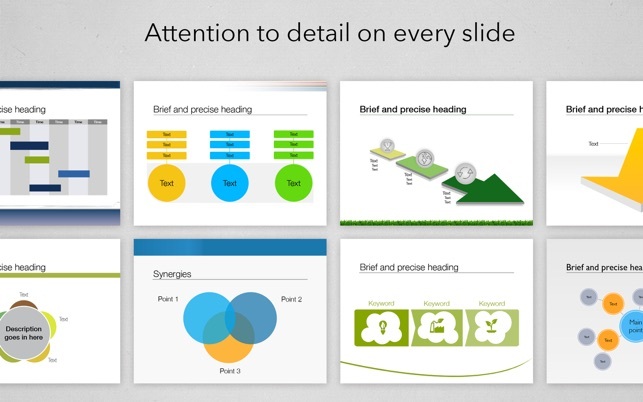 Get the largest collection of professional, polished PowerPoint slides available on the Mac App Store! 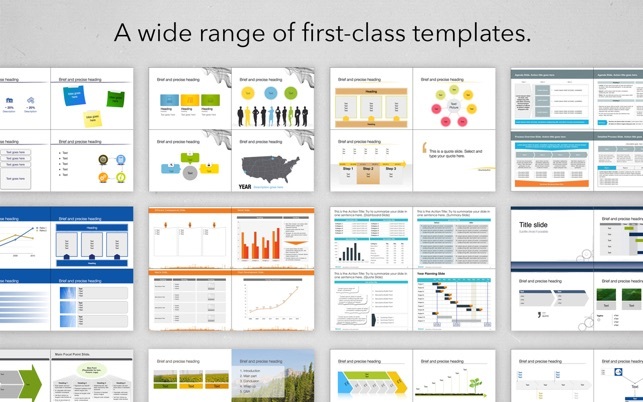 Every template contains customizable slides for tables, pictures, charts, diagrams, quotes and many more. 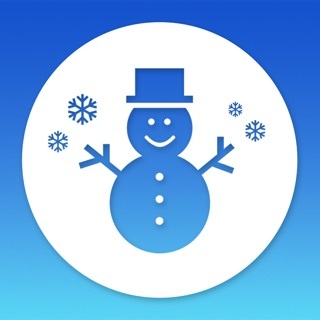 The app is designed straightforward. 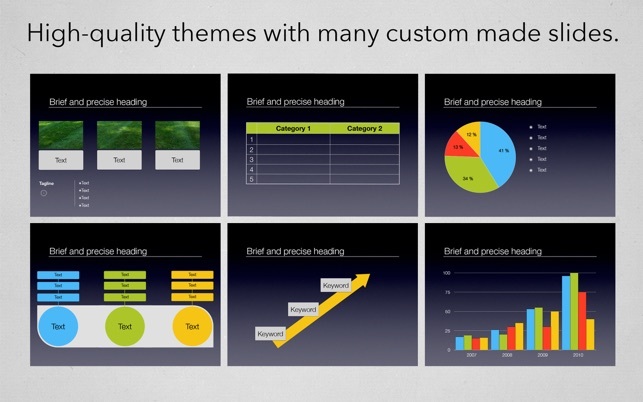 Find the right style, export it into the PowerPoint app and insert your content. 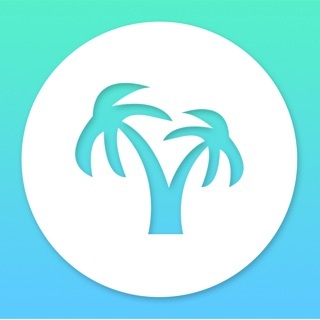 Simple, Creative and very easy to use. The charts and designs are professional and colorful. I would give it 5 stars but want to use these in my next QBR to hear customers feedback! Great Stuff! Thank you.